The Doors took their name from the title of Aldous Huxley's The Doors of Perception (a reference to the "unlocking" of "doors of perception" through LSD use), Huxley's own title was a quotation from William Blake's The Marriage of Heaven and Hell, in which Blake wrote that "If the doors of perception were cleansed everything would appear to man as it is, infinite." Originally with Columbia Records, but when things went sour they were dropped. After a few months of live gigs as the house band of the Whisky a Go Go on sunset strip, they were signed to Elektra Records in 1967. 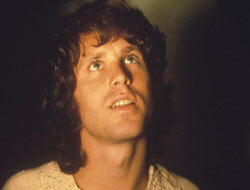 In 1967, the single "Light My Fire" eventually reached number one on the Billboard Pop Singles chart. This saw the release of their first self titled album The Doors. By the release of their second album, Strange Days, The Doors had become one of the most popular rock bands in the United States. The Doors released their third studio album, Waiting for the Sun. Their fourth album, The Soft Parade, was released in 1969. It was the first album where the individual band members were given credit on the inner sleeve for the songs they had written. Following The Soft Parade, The Doors released the Morrison Hotel album. After a lengthy break the group reconvened in October 1970 to record their last album with Morrison, L.A. Woman. These six albums are considered the core albums produced by the doors. There are many other albums like "the best of" and the like but these all have been released after Jim Morrison's death in 1971. James Douglas "Jim" Morrison (December 8, 1943 – July 3, 1971) was born in Florida, he had one sister and his father was an admiral in the navy and moved around a lot. 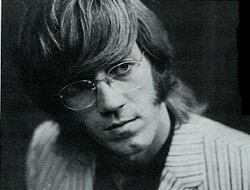 Ray Manzarek (born February 12, 1939) is the co-founder and keyboardist of The Doors. He is the oldest member of the Doors and one of the longest serving members. Ray Manzarek was born in Chicago, Illinois. In 1962 he studied in the Department of Cinematography at UCLA, where he met a film student named Jim Morrison. When the college had ended they met by chance on Venice Beach in California. Morrison said he had written some songs, and Manzarek expressed an interest in hearing them, whereupon Morrison sang a rough version of "Moonlight Drive” as depicted in the Oliver stone movie “The Doors”. Manzarek later co-founded the Doors with Morrison on that beach that evening. They added drummer John Densmore and guitarist Robby Krieger after Ray met them at a Transcendental Meditation lecture. Manzarek went on to play bass on his piano as the doors did not have a bassist. He mad the sound of the doors “light My Fire” on the same piano. Ray Manzarek occasionally sang for The Doors but he did sing lead vocals on the last two Doors albums, recorded after Morrison's death, Other Voices and Full Circle. Sadly the Doors co-founder and keyboardist Ray Manzarek died today in Rosenheim, Germany, after a long battle with bile duct cancer. He was 74. Robby Krieger (born January 8, 1946) he was the guitarist in The Doors and wrote some of the band's best known songs, including "Light My Fire," "Love Me Two Times," "Touch Me," and "Love Her Madly." Krieger was in The Doors with keyboard player Ray Manzarek, drummer John Densmore and vocalist Jim Morrison. At an early Doors rehearsal Morrison heard Krieger playing bottleneck guitar and initially wanted the technique featured on every song on the first album. Krieger's finger style approach to the electric guitar, eclectic musical tastes, and song writing helped establish The Doors as a successful rock band in the 1960s. His only singing with the early Doors songs can be heard on the album The Soft Parade, on the song "Runnin' Blue". 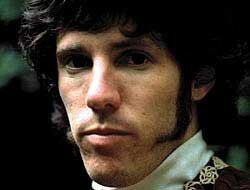 John Densmore was Born in Maine, Densmore attended Santa Monica City College and Cal. State-Northridge; at the latter he studied ethnic music under jazz cellist Fred Katz. He joined The Doors in 1965. 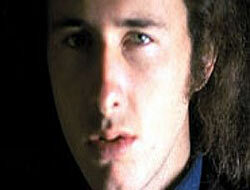 Densmore met keyboardist Ray Manzarek and guitarist Robby Krieger at a Transcendental Meditation lecture. John Densmore is a trained jazz drummer and you can here it through out all of The Doors work. According to Densmore's own book, Riders on the storm, he quit the band on one occasion in reaction to Morrison's increasingly self-destructive behavior, although he returned the next day. He repeatedly suggested that the band stop touring, but Krieger and Manzarek were not having any of it. After the Doors' last performance with Morrison in New Orleans in 1970, the band agreed to discontinue performing live.